Those in the business world know how important it is to channel advertisement content to the right audience. People have gone out of their way to implement various marketing strategies. Email marketing seems to be at the center of it all. With precise planning and ideal management, email marketing can bear significant results. To reap the most out of this strategy, one needs a stable email-marketing database. Turning your shrewd little list into a massive database takes time, patience, and dedication. However, you can always have it handled the easier way, and we show you how. To have people hand over their email addresses to you, you must be able to drive traffic from various user engagement channels. From your official website, blog pages, and social media, you must provide potential clients with something worth coming back for. The easiest way, of course, is to provide your readers with quality, highly optimised content that suits their needs. Before you engage them through email, you must be sure that they are able to easily find you online. That is where SEO-optimized contents come in. You should focus on providing quality and highly informative content that will keep readers coming for more. If they find something interesting, they will be willing back to come back for more even if it means surrendering their email addresses. Another scalable way of driving traffic is ensuring a better customer experience while on your site. Easily ignored aspects such as the site’s load speed can affect your email listing efforts. The site should be easy to navigate for you to be certain of having consistent traffic. Having worked on the contents of your site, you can now build the email listing numbers with greater confidence. Using a manageable CTA tool, you can give your audience information about the company’s newsletter via social media. Growing your email-marketing database can be achieved the painless way if you use the right tools. You can take advantage of companies like LeadPages, SumoMe and Option Monster which have been proved effective in registering people for newsletters. Simply drafting a CTA for handing over email list from clients will not get the work done. Your CTA must be persuasive in a way that makes people feel easy when it comes to giving out their contact details. So what are the techniques that you should have in mind? For one, you need to be precise in your message. What do you want? (Email address in this case). How are they likely to benefit from it? It is so easy for people to get distracted nowadays, so lengthy explanations might work against you. Again, you must be able to appreciate and use the power of numbers. According to analysts, adding numbers to your title comes with amazing results. It doesn’t have to be complicated. A title as simple as ‘Join 9,000 other avid readers’ can work magic. You must also learn how to take advantage of people’s curiosity. While preparing your CTAs, try to capture the fact that you have valuable information to offer in the emails without necessarily revealing too much. The result is an open loop that will prompt people to crave for more and leave behind their email addresses. Lastly, you need to ensure the CTA is simple and the form precise. No one wants to take more than a couple of seconds providing their contact information. The idea of having competition and gift cards has also worked magic when it comes to growing email marketing lists. People are more likely to leave behind their email addresses if there is a price attached to it. It can be something related to your company and doesn’t have to be expensive. In the past, offers like free eBooks, access to webinars and discounts on certain products have produced significant results. You might want to try that. Is it Worth the Struggle? As observed earlier, an effective email-marketing database takes time to build. With a little database support, however, you can achieve the impossible. However, should you simply take our word for it that growing the database is worth your efforts? You might want to hear about other people’s experiences. 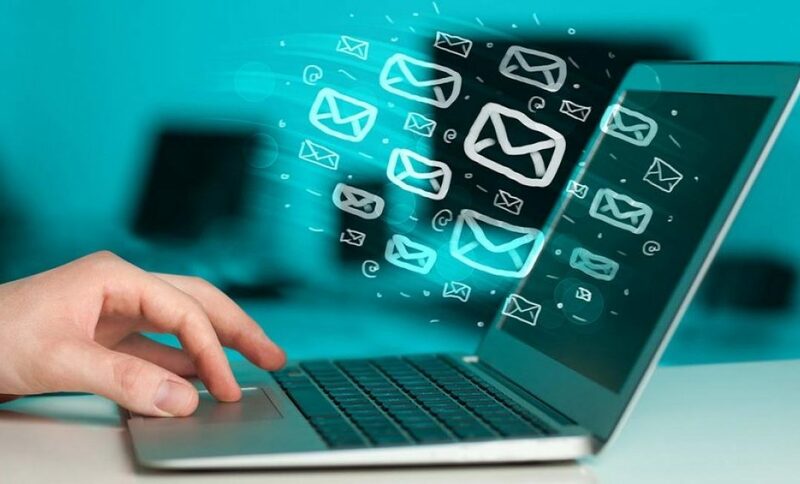 According to Neil Patel, the brain behind KISSmetrics, Quick Sprout, and Crazy, there is no marketing channel that proved more reliable than email marketing. In an interview, he went ahead to give examples on how Amazon and other e-commerce sites have exploited this marketing strategy to push their agendas and bring more customers on board. Noah Kagan, the founder of SumoMe, admits that over 90% of their revenue comes from email. AppSumo.com is currently a million dollar business, and such reviews from them reveal something. The marketing manager at Unbounce, Corey Dilley, recently revealed that 90% of their landing page traffic is due to email marketing. This works even better after the launch of a product or during the promotion of a new feature. Email marketing is an effective and affordable marketing strategy with an average ROI of 4,300%. This research by Direct Marketing Association reveals just how affordable this venture can be. Close to 60% of B2B marketers agree that the most reliable channel for generating revenues is email marketing. 90% of people would rather have company updates sent to their emails as opposed to social media accounts. People are more comfortable receiving company newsletters via email. On average, 57% of the U.S adult population spends close to one hour going through marketing emails on a weekly basis. Why wouldn’t your company want to be part of that statistic? Building an excellent email marketing database is an easier way of ensuring your content gets to the right audience. Growing this list doesn’t have to be a headache. With these simple steps, you will be well on your way to expanding your client base. Sujain Thomas is a content developer for a marketing firm based in New York. She has a special interest in databases. In case of inquiries on database support, contact her. Can Instagram Really Help You Lose Weight?